-Franny’s Farmacy is the latest hemp dispensary that’s planning to open in Asheville. Franny’s Farmacy, coming to Merrimon Avenue, is the work of Franny Tacy, who is taking part in a statewide pilot project to grow industrial hemp on her Leicester farm, Franny’s Farm, with her business partner and husband, Jeff Tacy. The dispensaries are selling an array of products, many of them containing CBD, a component of hemp that does not offer the high of its marijuana relative, but still has some calming and restorative impacts, according to producers. -The folks at Highland Brewing plan to open their tasting room early (10:30 a.m.) on Sunday for the World Cup Final, Croatia vs. France. Highland will also be serving Luka Lager, a beer named after the captain of the Croatian national team. -Kendra Penland has officially left her high profile job as executive director of the Asheville Brewer’s Alliance, reports Mountain Xpress and beer reporter Tony Kiss. Penland plans to work as a consultant to the food and beverage industry, Kiss reports. -Jeff Washburn, the general manager of the Asheville Mall for the past 14 years, has left that job and joined Whitney Commercial Real Estate as director of property management. Washburn is a licensed real estate broke and certified shopping center manager. -A new beer bar called Cursus Keme is now open at 155 Thompson Street. The owner plans to eventually be brewing beer at the location. The location is open from 3-8 p.m. on Saturdays. -Asheville mural artist Ian Wilkinson has launched a crowdfunding campaign to raise money for a giant mural project at the Mission Cancer Center. 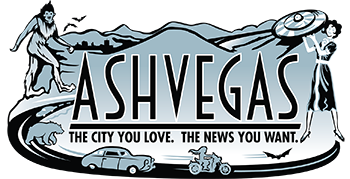 –Asheville Fringe Arts Festival 2019 will run for a week, from Jan. 20-27, according to organizers. “Beer bar”. I love that. There is a new 24 hour gym just opened in Asheville, on Sweeten Creek Road. Oakley Fitness Center is an alternative to the big box gyms. Members have access to the weights and machines around the clock; giving them the home gym feel on their terms and times. There are also fitness classes offered for all levels. They will be based on the mma training it’s owner, John J received in the fight town of Albuquerque NM.